Jonah Hill has worked with some incredible directors. Let’s hope he’s picked up a trick or two. The dramatic third act is a tad Hollywood, but this is a lot of fun. Jonah Hill’s sudden reinvention as a Serious Director shouldn’t really come as a shock, partly given the similar path forged – to varying degrees of success – by fellow Apatowians Seth Rogen, James Franco and Evan Goldberg in recent years, but primarily because he has long expressed a desire to shed his comedy bro persona and build a reputation for his work behind the camera. The surprising thing about Mid90s, then, is that it leaves you questioning Hill’s career choices up to now: namely, why the hell has he been wasting his time with this acting malarky instead of going out and making movies? 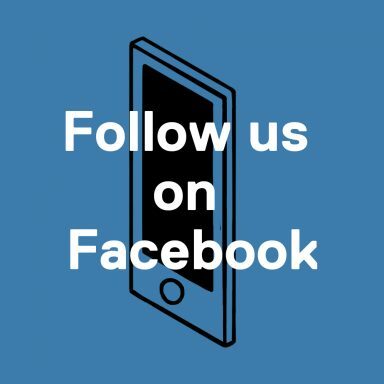 Were this the debut feature of a previously unknown filmmaker, we would be hailing the emergence of an exciting new voice in American independent cinema. As things are, the film stands as a neat rejoinder to the notion that actors should stick to the script. The setting is Los Angeles circa, per the title, the mid-1990s. 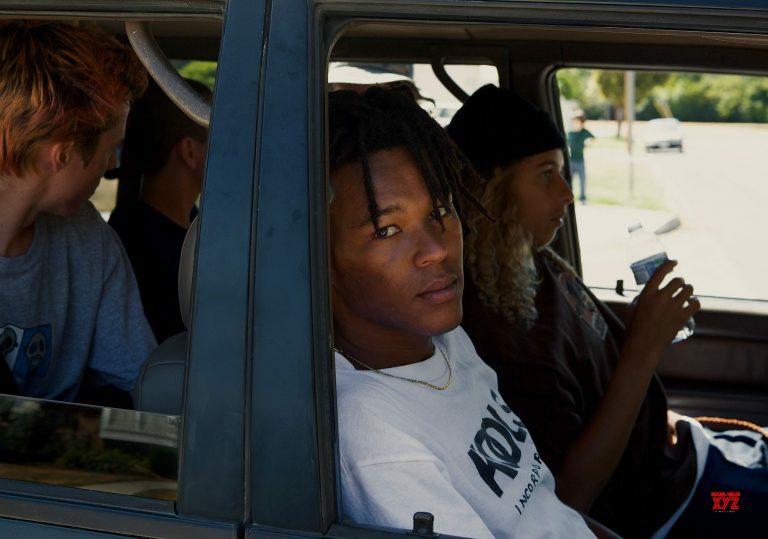 Before we’ve had a chance to settle into our seats – indeed, before the film has even properly begun – a flurry of limbs bursts into the frame, clattering into the mass of skateboards that has been carefully arranged to spell out the name of the film’s production company, millennial darlings A24. It’s a clear statement of intent that sets the tone for a film powered by youthful exuberance and a strong DIY ethos. 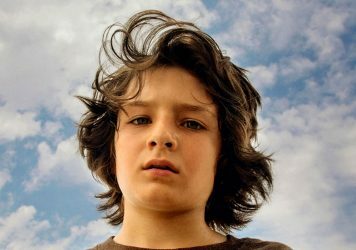 Mid90s is the story of 13-year-old Stevie (Sunny Suljic, who Hill met on the set of Gus Van Sant’s Don’t Worry, He Won’t Get Far on Foot in early 2017), who takes up skateboarding as a way to make friends with the cooler, older boys who run a local skate shop. Comprising this ragtag crew of talented but rudderless amateur skaters are Ray (Na-kel Smith), Ruben (Gio Galicia), “Fourth Grade” (Ryder McLaughlin) and “Fuckshit” (Olan Prenatt). 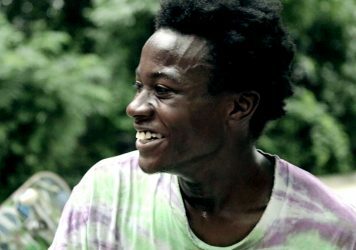 As Stevie ingratiates himself with the group through his good nature and fearless attitude, finding sanctuary and a sense of identity away from hostile older brother Ian (Lucas Hedges) and loving but largely absent single mother Dabney (Katherine Waterston), the characters’ backstories are fleshed out to poignant effect, all to a catchy era-specific soundtrack curated by Hill. Maybe the film tries a little too hard at times to convince us of its street cred. 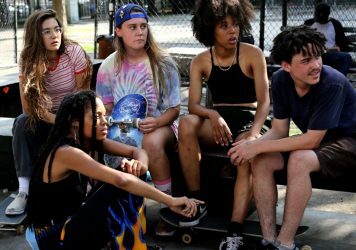 Yet for all its down-with-the-kids zeitgeist-signalling (Hill and A24 have teamed up with Spotify to create the “first-ever official motion picture playlist”, whatever that means), Mid90s feels unequivocally like a film made with younger viewers in mind. Despite being shot on 16mm film and featuring a score by Trent Reznor and Atticus Ross, it’s never self-indulgent, superficial or nostalgic in a conspicuously affected way. Rather, this is an authentic evocation of a specific time and place, a charmingly scuzzy coming-of-age drama that isn’t preoccupied with dispensing hard-won life lessons to its target demographic. Hill may owe a debt to the likes of Harmony Korine and Larry Clark, but crucially his film has an energy and spirit all of its own. Still just 35 at the time of writing, there’s surely a lot more to come from Jonah Hill, director.